Minneapolis-St. Paul isn’t the state’s only region awash with floral beauty. Here are several other stunning cultivated nature centers worth a visit. 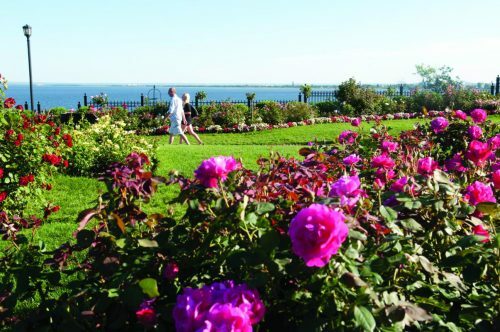 Along the shore of Lake Superior in Duluth, Leif Erikson Park is a popular retreat with a lovely rose garden. 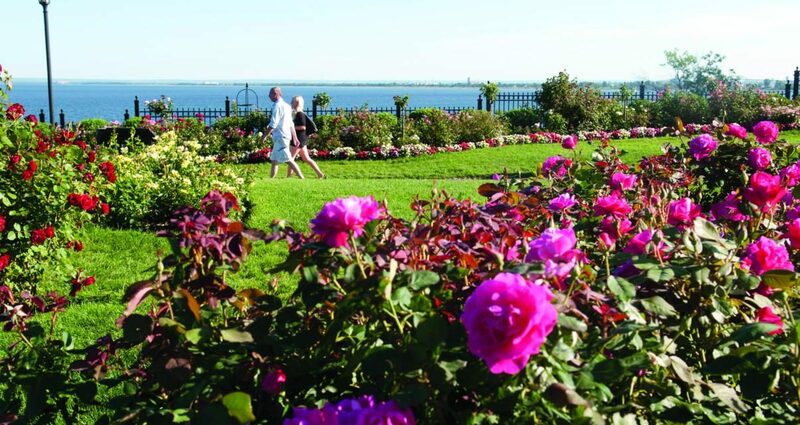 With more than 3,000 rose bushes and a variety of other fl owers and plants, and more than 100 different varieties of rose bushes throughout the English-style garden, the park is a prime walking destination. Other highlights include a replica of Leif Erikson’s Viking ship and a marble stage with castle-like towers on each end. The park also offers direct access to more than three miles of walking and biking paths. Founded in 1973, the Linnaeus Arboretum in St. Peter covers 125 acres, including the 70-acre Coneflower Prairie added in 2008. The arboretum contains more than a dozen formal gardens and restored natural areas including wetlands, forests and woods. The three major ecosystems found in the state are represented: the conifer forest in the north, the prairies in the south and west, and the deciduous forest in between. A fourth area includes cultivated gardens and trees that were introduced from other regions of the world. There are more than 114 species of trees and shrubs in the arboretum, and more than 150 species of birds have been sighted throughout the area. Munsinger Gardens (14 acres) and Clemens Gardens (7 acres) sit adjacent to one another on the bank of the Mississippi River next to St. Cloud University. Munsinger Gardens, which was primarily constructed in the 1930s, is an informal garden filled with flower-bordered paths that wind through tall pines. Clemens Gardens was developed in the 1990s and contains six European-style gardens with American plantings and fountains. This 4,500-square-foot greenhouse in Virginia, on Minnesota’s Iron Range, is free and open to the public year-round. The three-room greenhouse dates from the 1930s and features a central room containing exotic plants ranging in size from small specimens to mature Ponderosa lemon trees, along with cacti, succulents, large agave, palm and ficus specimens. North of Hinckley in Sandstone, this five-acre garden in the shape of a Canada goose opened in 2013 after many years of development. It contains more than 400 native species that were used by local Ojibwe tribes in the late 1800s. The flowers, plants and trees, which include wild roses, downy yellow violets, cottonwood and hemlock, are accompanied by 21 sculpted animal totems. The garden is open to the public June-October.